Have you ever made a paper airplane, only to have it make an immediate nosedive into the ground? 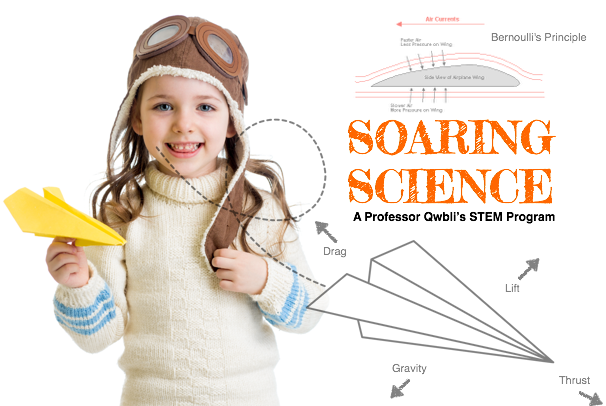 In this STEM program from Professor Qwbli’s, children will assume the role of aerospace engineers! Our young engineers will design various models of planes to test their understanding of Bernoulli’s Principle and the forces that affect flight performance.